Students are invited to join IAU for an optional week-long, early-start program before their fall or spring semester abroad. Students from The School of Humanities and Social Sciences, The French Honors Program and The Marchutz School of Fine Arts are all encouraged to participate. Review the weekly schedule for the Early Start Program to learn more! Learn more about the Early Start Program by reading our students' blogs! "The Early Start Program was an amazing introduction to life in France. In the morning classes we focused on French language and culture, and in the afternoons we went on a variety of excursions that were incredible. The wine tour and hiking were both personal favorites!" "This program was extremely useful and a perfect way to start the semester. Having a week to adjust to the time change before classes began was great too!" "My French language skills improved during the Early Start Program, and I became more confident using my French to navigate this new city. I feel lucky to be here and am ready to start my semester." 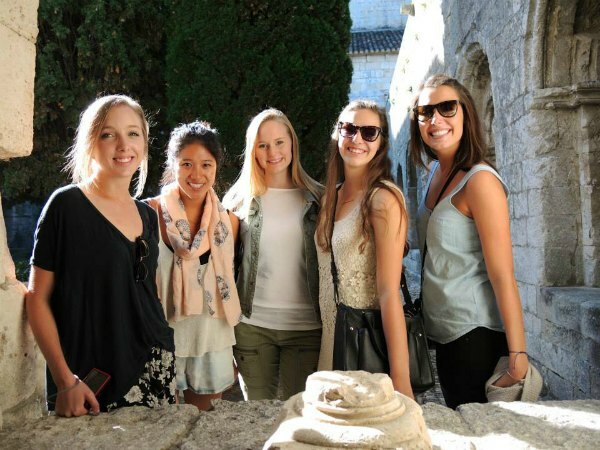 The Early Start Program fee provides week-long housing with a French homestay, breakfast daily and six dinners, local excursions, language instruction and one course credit. Students participating in the Early Start Program will be housed with their assigned French host for both the Early Start Program and the following semester. Travel details can be found on the Travel Logistics website. All dates and fees subject to change. You can enroll in the Early Start Program during the online application process or by emailing enroll@iau.edu. Please note that the program does have a maximum capacity and we accept registrations on a rolling basis. You can expect to hear from IAU with confirmation of your enrollment in the Early Start Program upon acceptance into the full semester program. Your registration is not complete until you have received this notice from IAU.